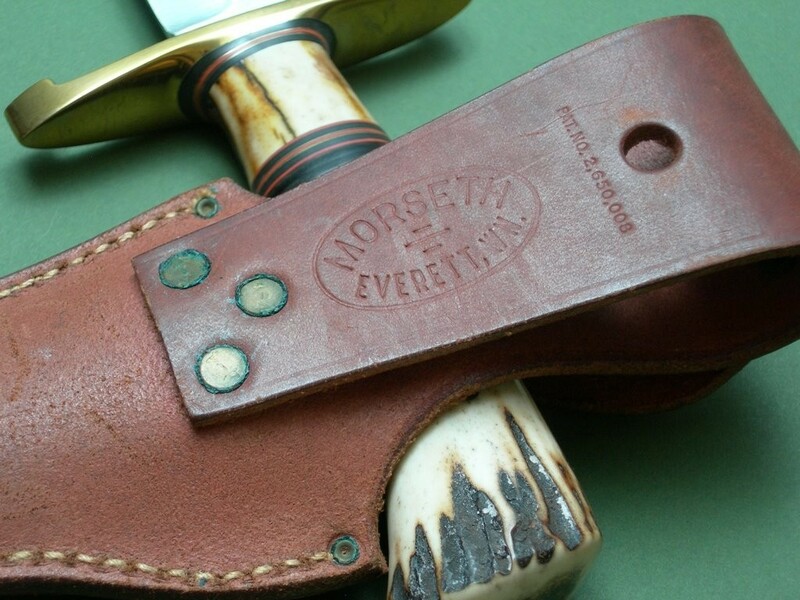 Summary: a vintage Morseth Fighting Knife, original sheath and custom display stand. 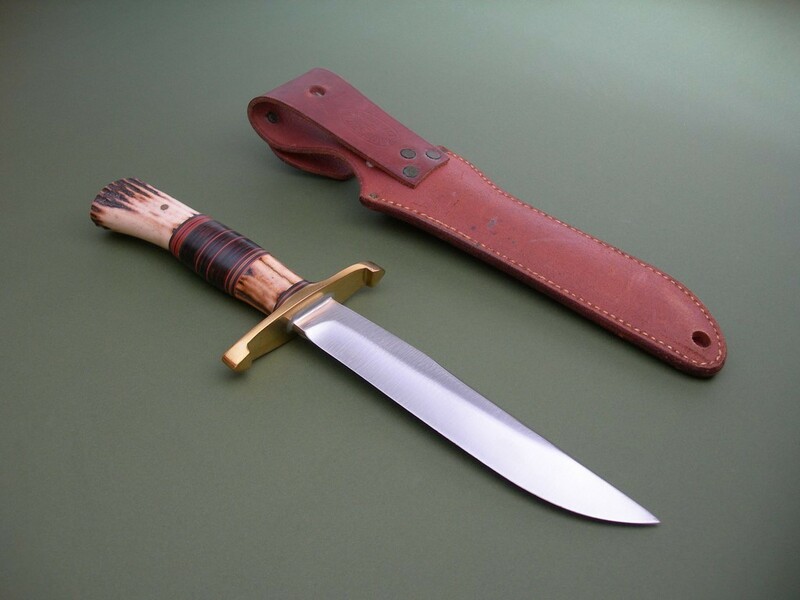 This very collectible fighter was rehandled by James Behring, Jr. who also made the stand. This one should be up on the fireplace mantle where everyone can see it... talk about some bang for your buck! 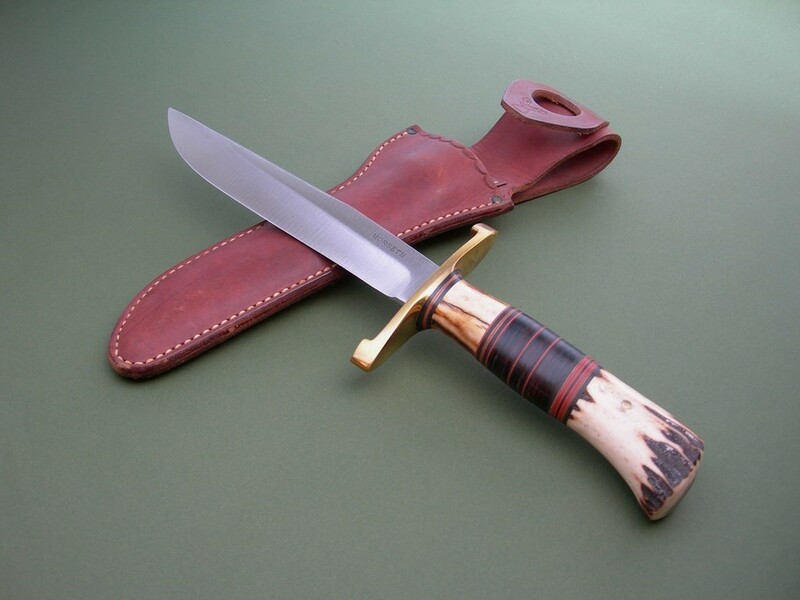 This knife has never been used and is drop dead gorgeous, nothing but a few carbon spots here and there really only visible if you turn the blade in direct light. 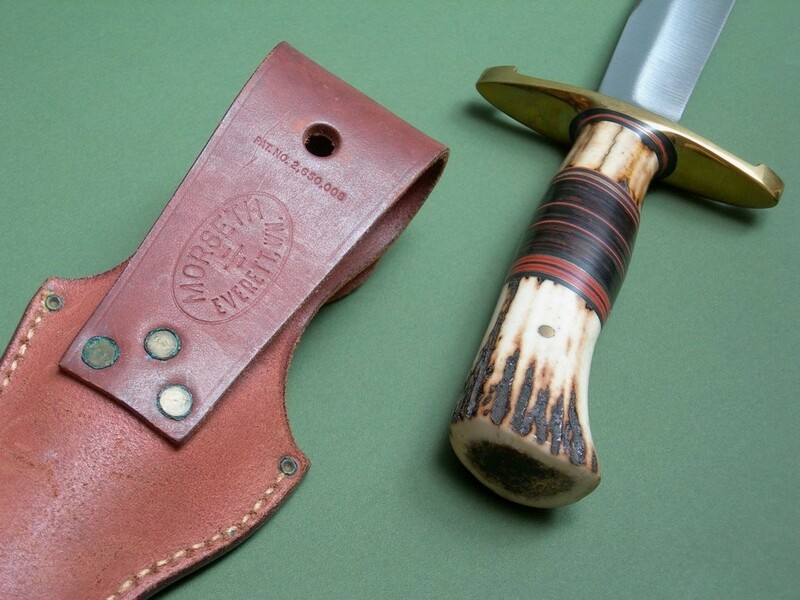 The sheath is pretty much mint, some verdigris around the rivets that I opted not to mess with. 9 photos for review – I'll pack everything up extremely well and ship USPS Priority. 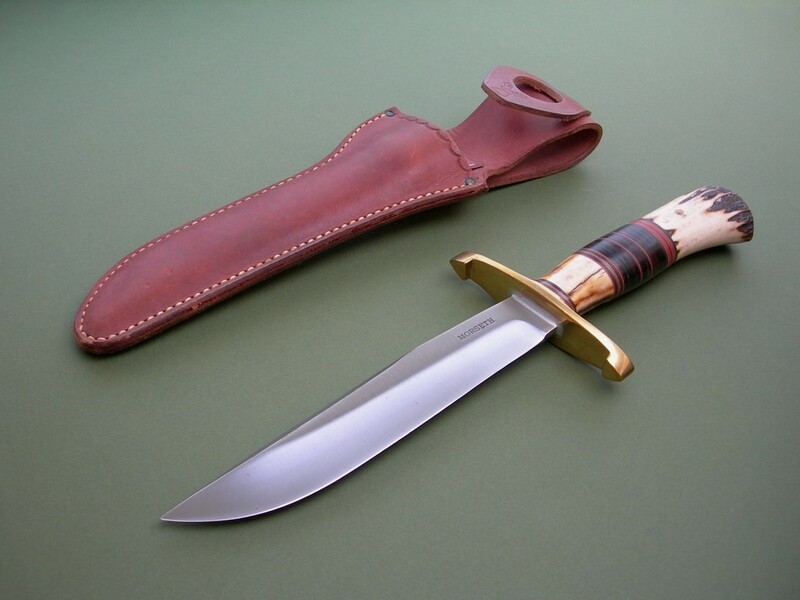 Morseth fighters are awesome knives, this one has a super long lugged guard and looks terrific. 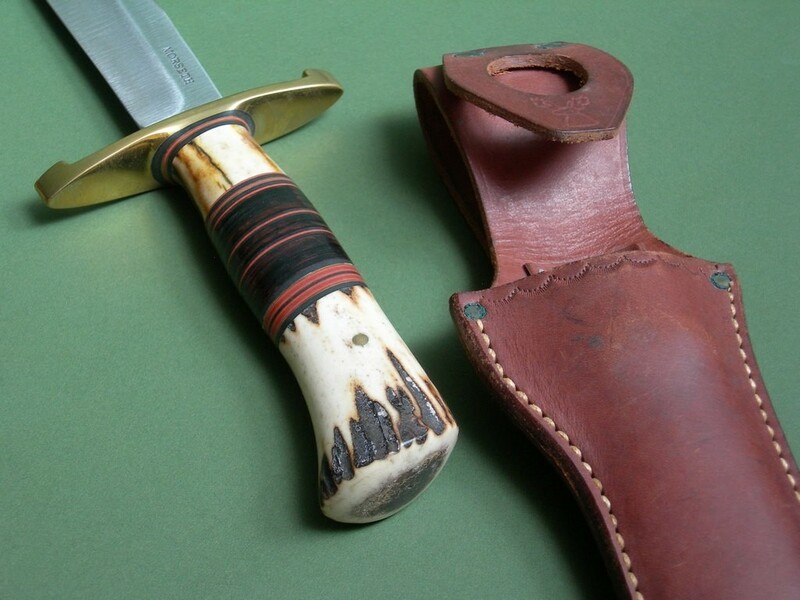 The handle looks great, the early sheath is amazing shape. 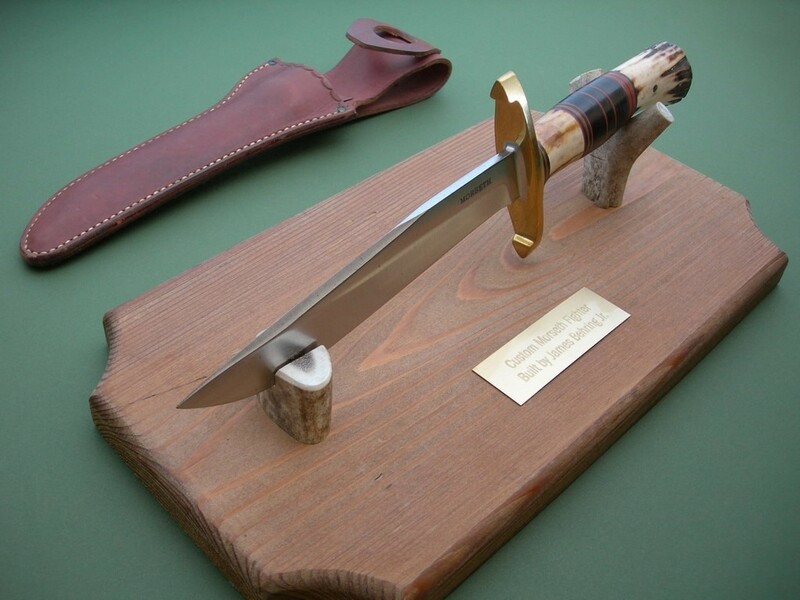 Buy it for display, if you opt to carry it you'll need to open up the leather handle loop to accommodate the stag handle. 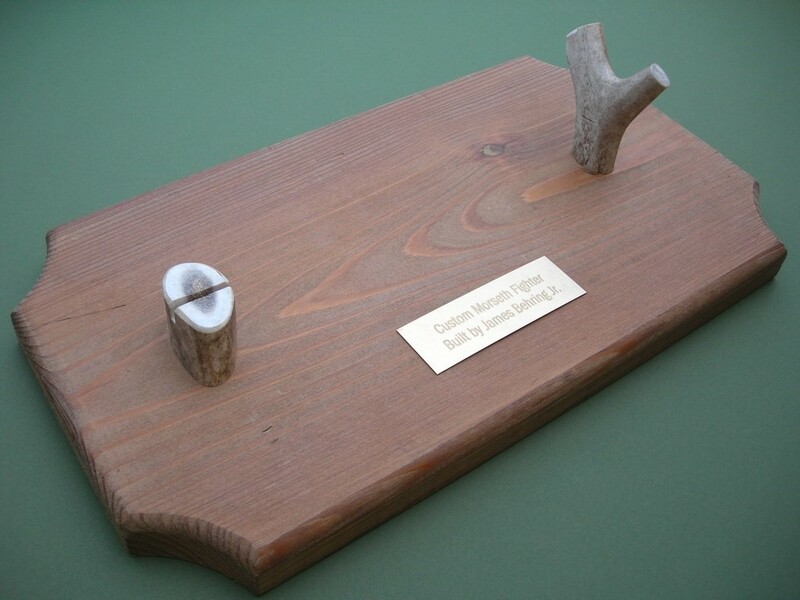 Simply and awesome piece – thanks and good luck.